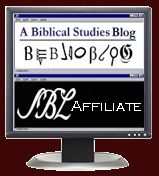 I have just posted a collection of guides with suggestions on installing and customizing BibleWorks 9. The installation guide is intended for a Windows computer. If you are wanting to install BW on a Mac, Matt Day has provided a very helpful guide to make it work in the most effective and economical way. After installation, you can return to Parts 2 and following in my guides for further customization. BibleWorks comes with a collection of excellent How-To videos. Some of my guides overlap with them, but my focus is more on customization and personalization than on use of the program. In customizing, however, you will discover quite a few ways to use the program. Further, my guides are available as DOCX or PDF files or some slideshows if you're the sort who would rather read directions than watch a video. The incentive to compose these guides is for the seminary students in my Greek and Gospels classes. Please note that many of the suggestions I make in the guides are subjective and are particularly oriented to my intended audience. Still, my suggestions arise from quite a few years of experience with BibleWorks. I hope you find them useful.